Glowy: Rita Dominic Gets a Versace Pumps as a birthday Gift. Rita Dominic Gets a Versace Pumps as a birthday Gift. 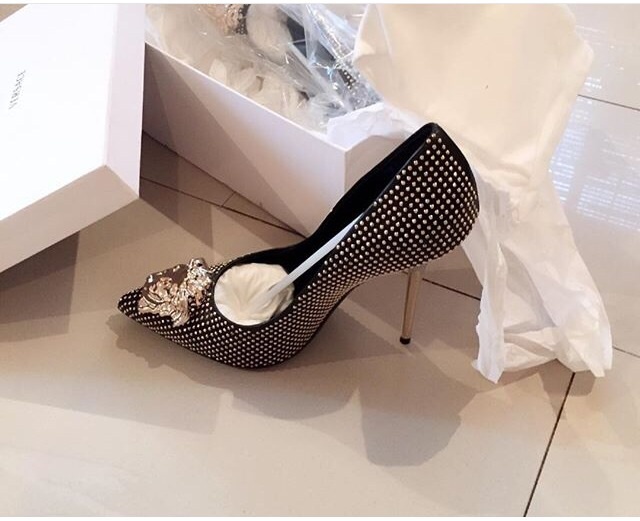 Rita Dominic who celebrated her birthday in July 13 2015,shared this shoe pix above... she stated that it was a gift she got a week ago from afriff.. The shoe is indeed lovely...all my well wishers this is the time for ya'll to show yourselves ooo..designer shoes should be rolling in..lol..
Glowy dear, you too like beta thing. I tap into this anointing my birthday is October 3rd to all it concerns..
Me like. I want it for myself.